EC Boxing’s Swedish heavyweight Adrian Granat (8-0) take on American veteran Darnell “Ding-a-Ling Man” Wilson (25-20-3) October 24 in Hamburg. This is the headliner of a charity show on the behalf of Russian heavyweight Denis Boytsov, who was seriously injured in a subway accident earlier this year. The show is promoted by EC Boxing. Wilson don’t win often these days but one his latest came in Hamburg over Juan Carlos Gomez and he was stopped controversially in the rematch. Also on the bill are cruiserweights Nuri Seferi (36-7) and Nikola Milalic (9-1). 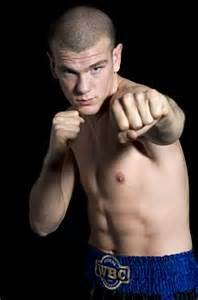 Should all go well for Granat he will fight Russian Denis Bakhtov (39-11) sometime in December and he is still to spar with Wladimir Klitschko in Austria. WBC female superwelter champ Mikaela Lauren (25-3) defends the title against Jennifer Retzke (15-2-1) November 28 in Vasteras (Sweden). It’s Lauren’s second defence of the title and she is again co-promoter of the show along with Rapid Promotions. The chief support feature heavyweight David Loy (8-1) and local hero Victor Fabretto (4-0). French superwelter champ Frank “F2H” Harroche Horta (39-14-5) defends the title against previously unbeaten Maxime Beaussire (19-0-1) October 30 in Caen. Losing controversially on the road have been a part of Harroche Horta’s game for a number of years but currently he is on four fight winning streak in what he has said will his last year as professional boxer. Beaussire won the national title at welter in his last fight but is in tough against the experienced “F2H”, who looked like a winner against current WBO middleweight champ Andy Lee when they fought last year in Denmark but lost a majority decision.